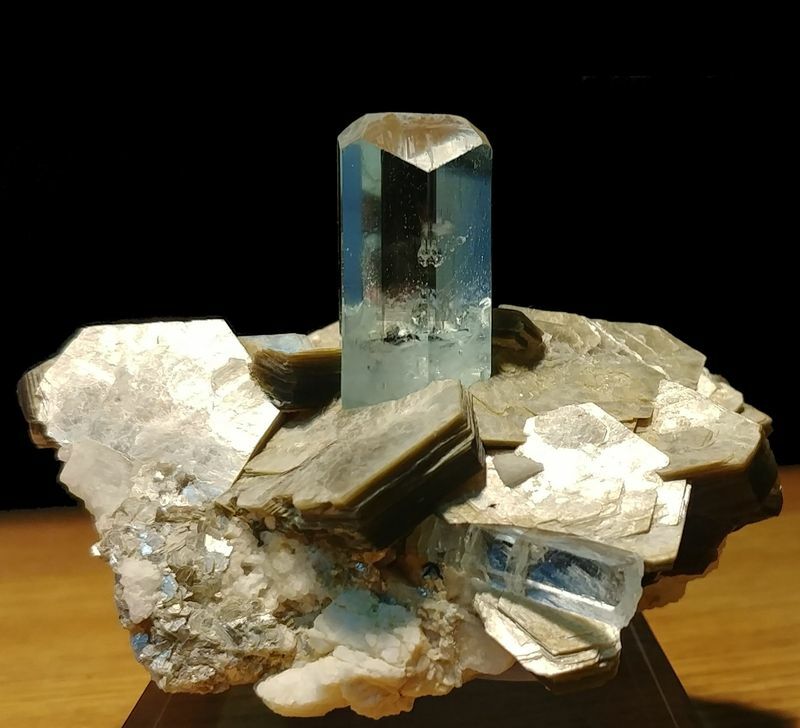 Viloco Mine, Loayza Province, La Paz Department, Bolivia. Unless otherwise noted, all photos are copyright by Carles Millan. Reproduction allowed as long as the author's name is cited and the image not modified (if it is not too much to ask...). Creative Commons Attribution Licence - Some Rights Reserved. 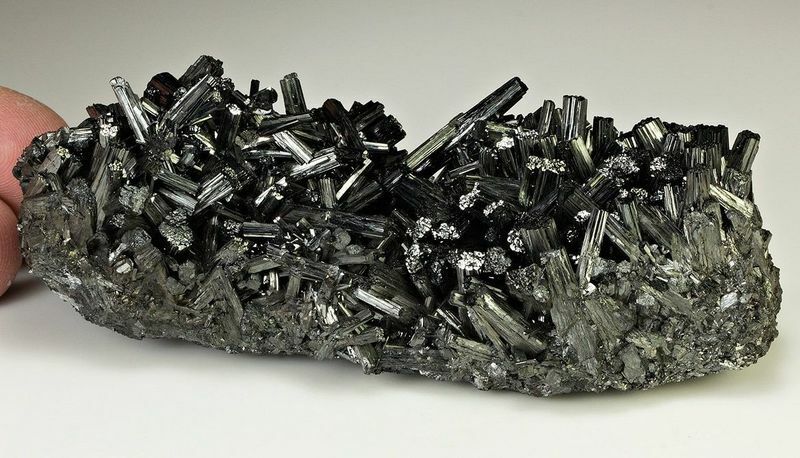 As usual, a splendid specimen and a great photo - I guess cassiterite is not easy to photograph. 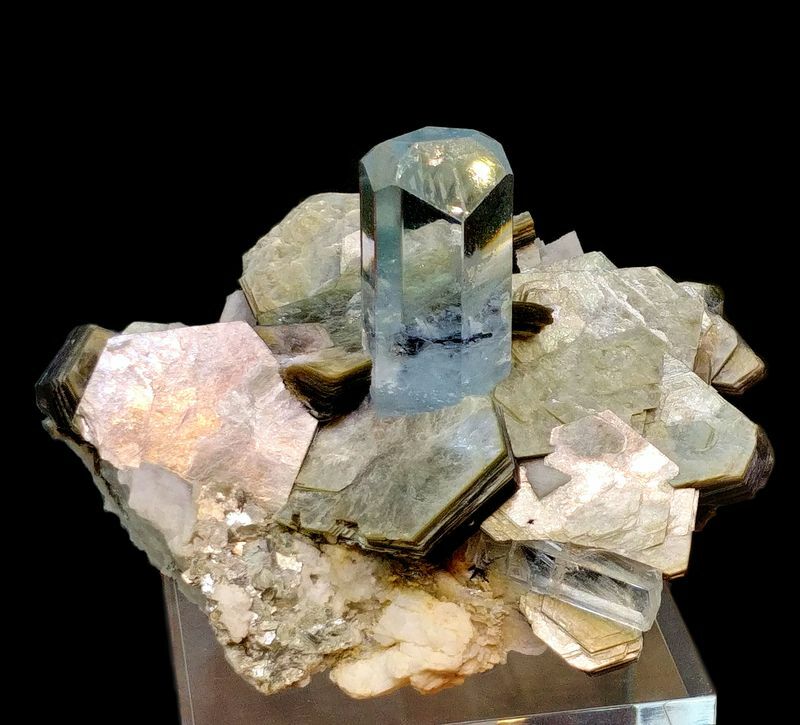 But what are the green/blue areas on the matrix, a copper mineral? 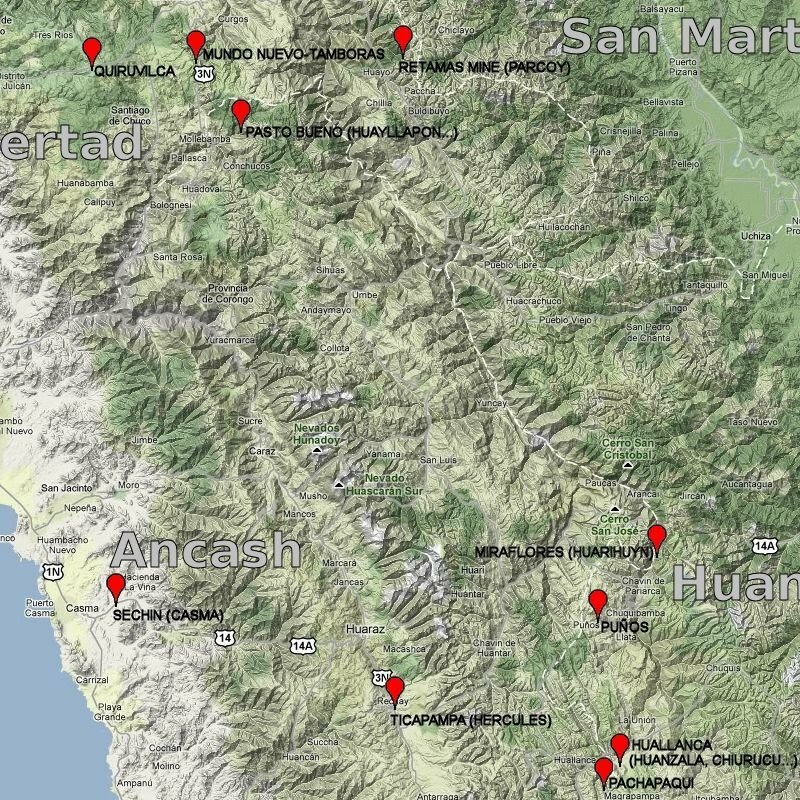 Regarding the blue areas, I don't know what they are, but I consider them as negligible. Probably something like Blu-Tack from the previous owner. I'll try to clean them. Ilfeld, Nordhausen, Harz, Thuringia/Thüringen, Germany. Photos are copyrighted by Dan Weinrich. Tobi, you are fortunate for living at about 200 km from Ilfeld (and Sankt Andreasberg, and Neudorf...). Just one-day round trip and you are able to collect something. For free. 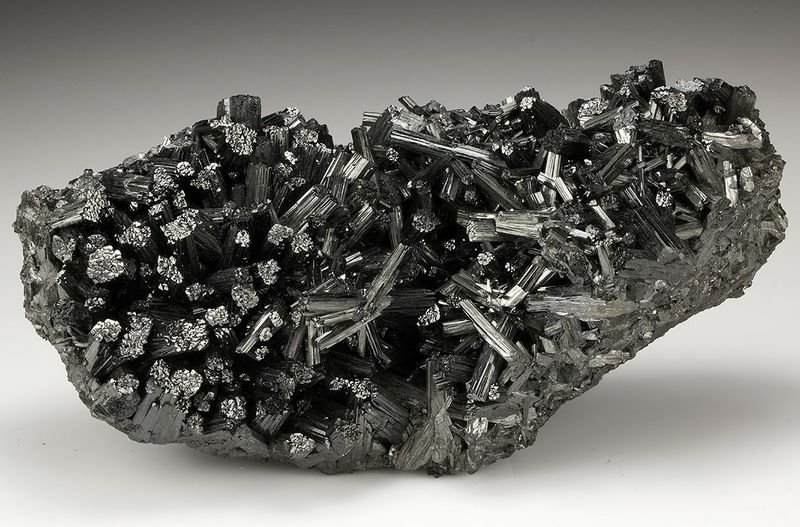 Some people at Ilfeld found a rich manganite dump under a 400 y/o oak tree several years ago. We could always start a series of threads along the lines of "XXXX's most desired classic". 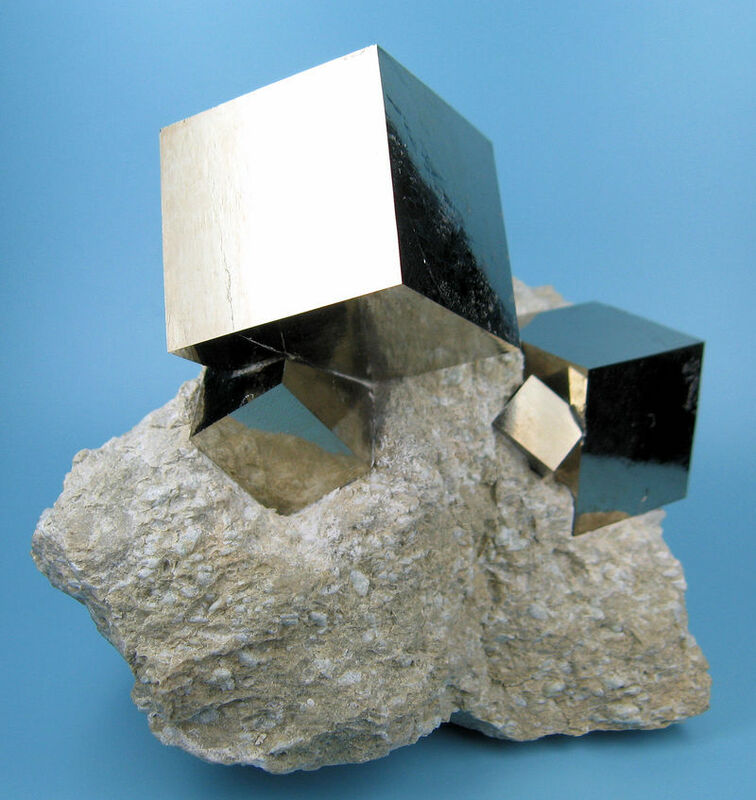 If we are talking about Europe, I want a Siderite box! 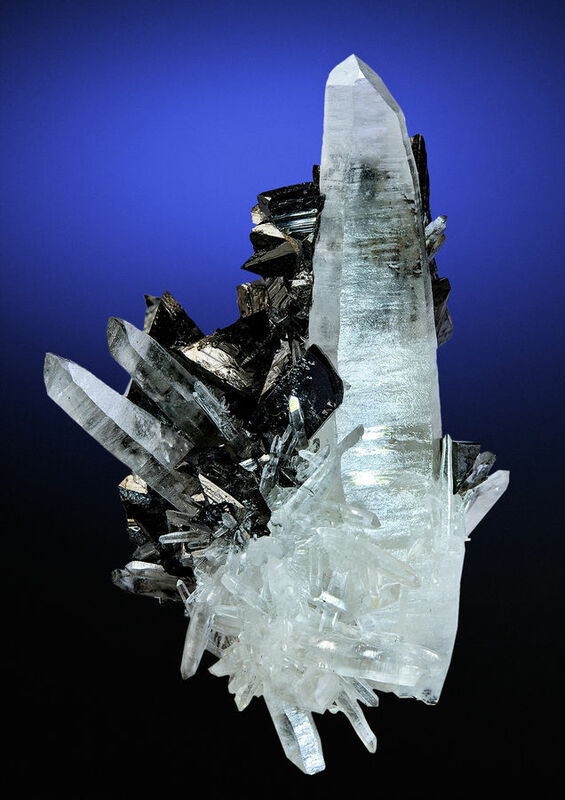 A crowd of metallic tetrahedrite crystals, the biggest of which is 25 mm on edge, is perched on a large cluster of colorless quartz crystals. The major of these is 86 mm tall, and they are mostly transparent with a somewhat frosted surface making it translucent white. 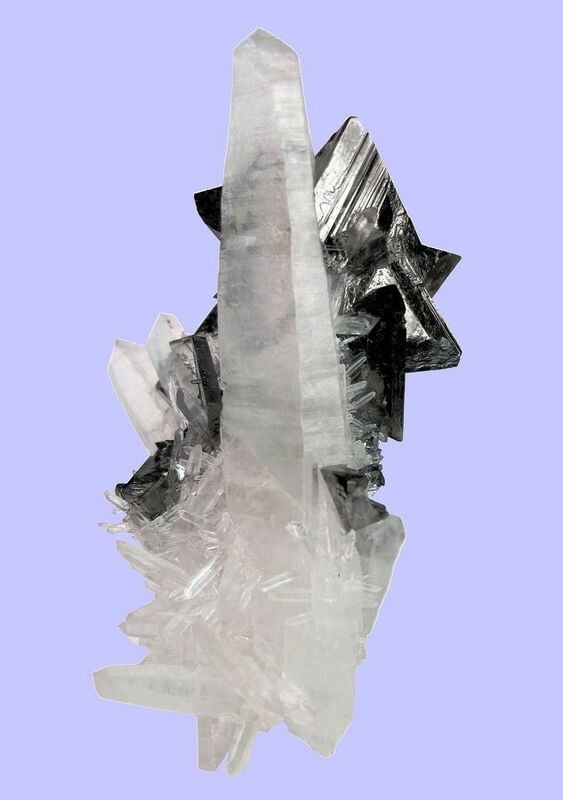 As a little surprise a hübnerite crystal can be spotted just at the geometrical center of the photo, partly overlapping the white main quartz. 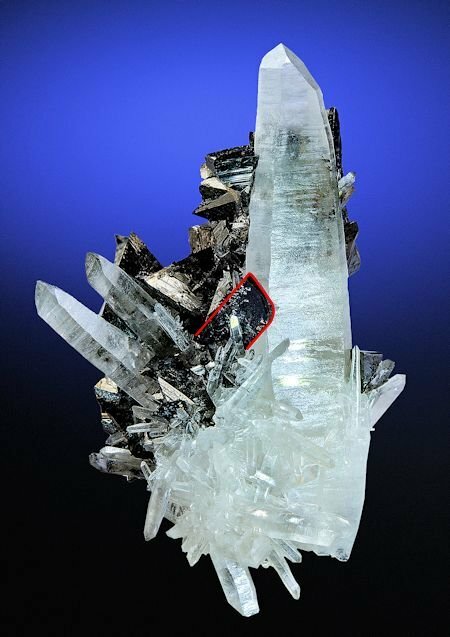 It is 17 mm long and 7.5 mm wide, and is embedded between quartz and tetrahedrite. When backlit in the right way it shows the typical deep red color. The whole specimen weighs 137 g and measures 92 mm x 61 mm. 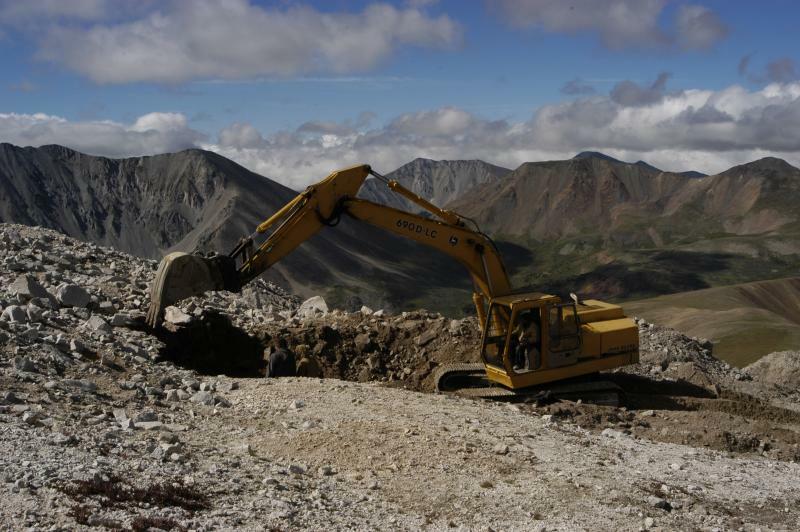 Mundo Nuevo mining area, Mundo Nuevo, Huamachuco, Sánchez Carrión Province, La Libertad Department, Peru. 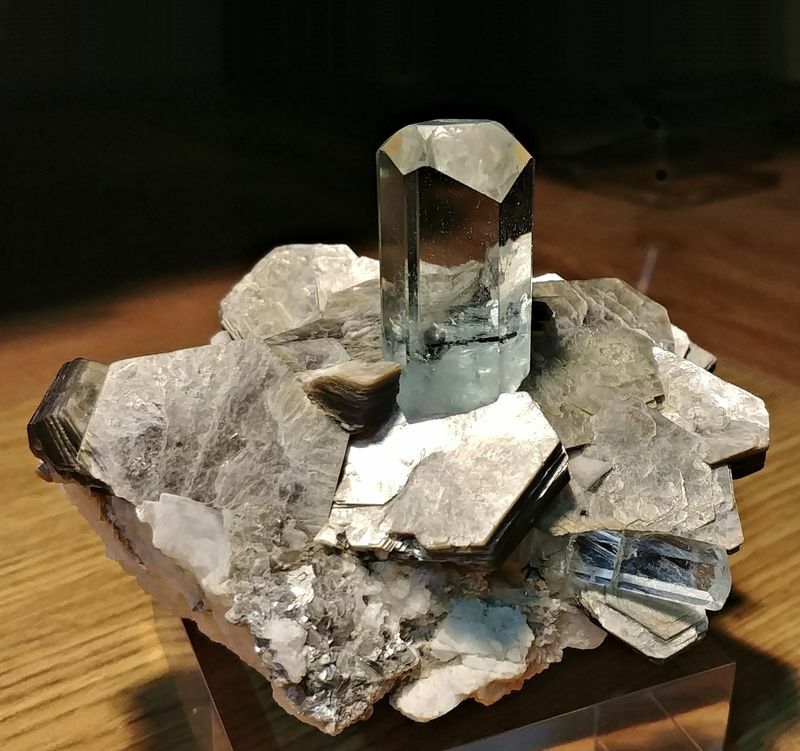 From another position to expose the upper tetrahedrite crystal. Sorry! 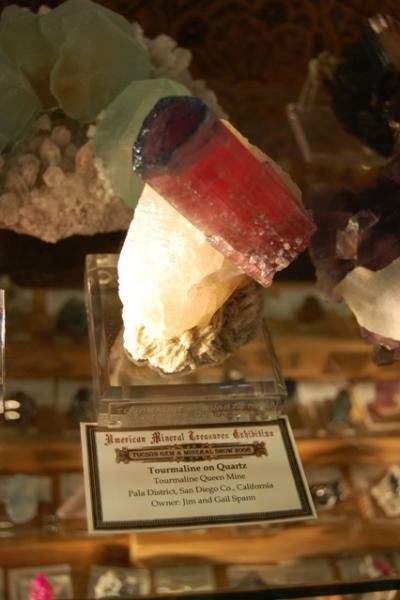 Extremely difficult to photograph specimen. Shigar Valley, Skardu District, Baltistan, Gilgit-Baltistan, Pakistan. Probably from Dassu, Braldu Valley, which is an affluent of the Shigar Valley. Photos shot with an LG G6 smartphone and processed with Corel PaintShop Pro X9. 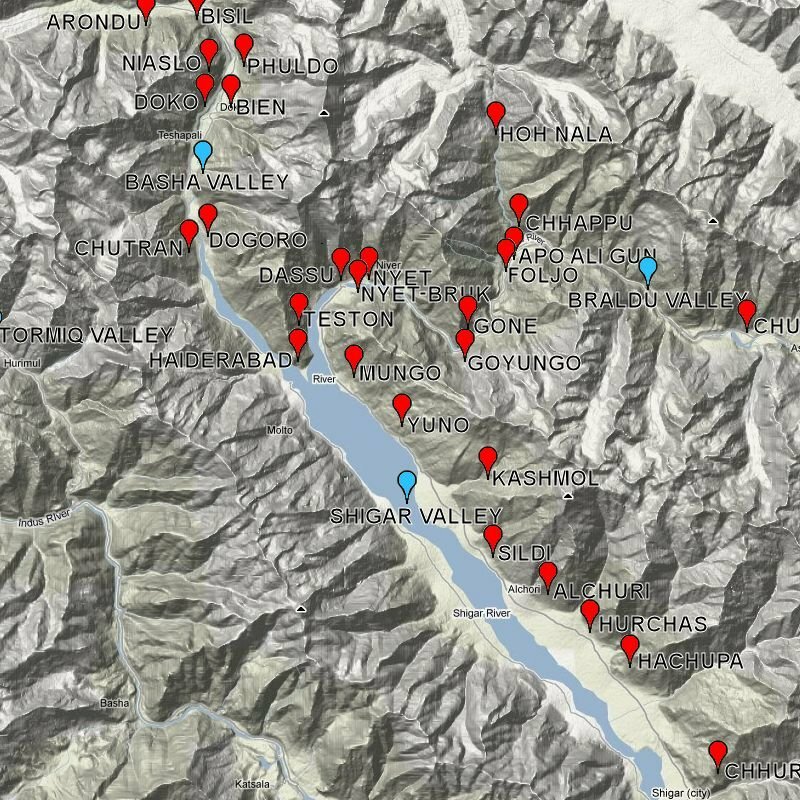 Map of the Shigar Valley pointing to the mineral localities. Piece as a whole very aesthetic. Piece as a whole very aesthetic. Congratulations. Hi Carles. Simply perfect. Best regards. Thanks to both for your kind comments. I'm happy you like it. 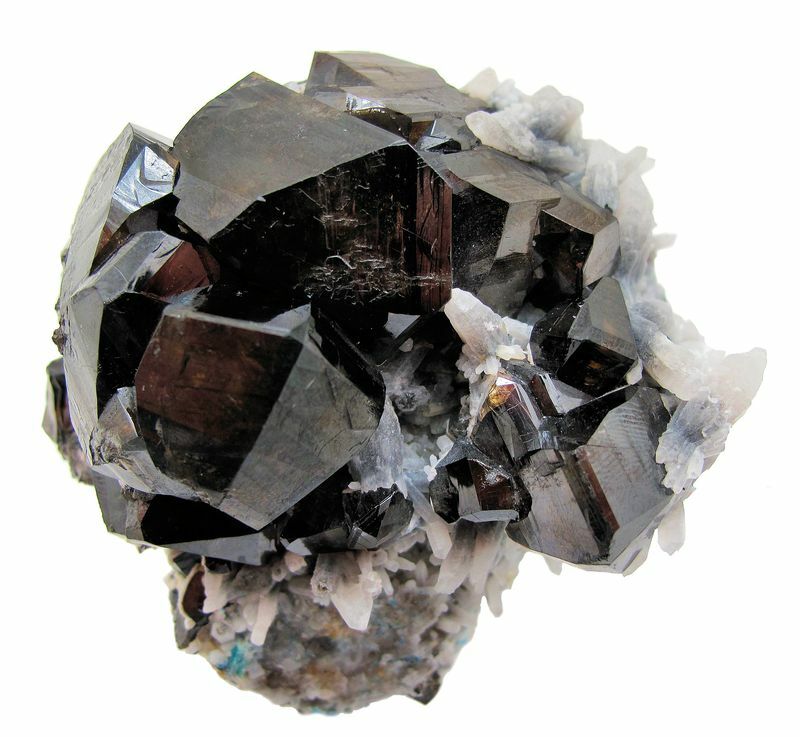 I can't remember having ever seen a mineral photo used as a cover of a music record. But perhaps there are a lot of them and I didn't know. 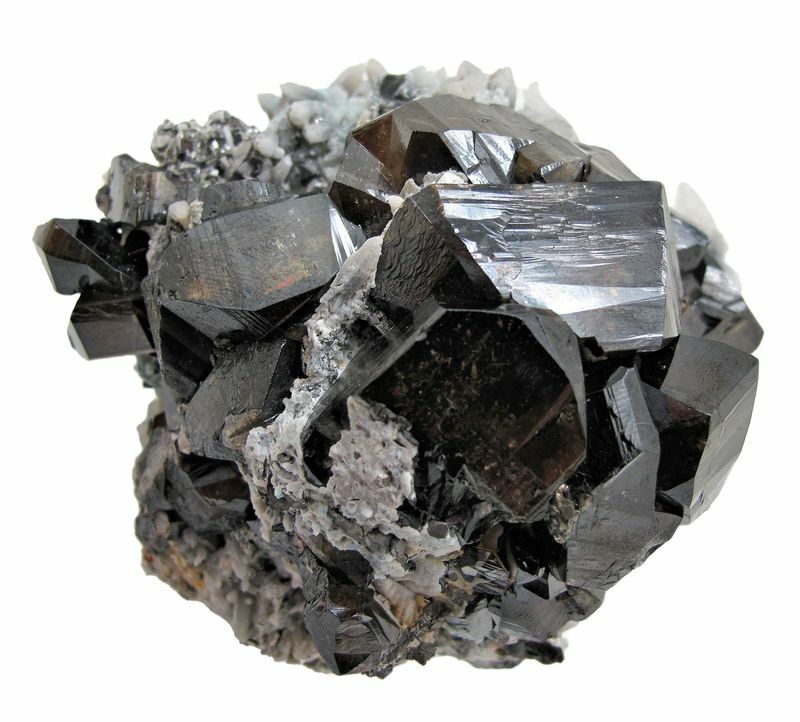 Just as a curiosity (and an honor for the specimen as well), the pyrite which photo was posted here has been recently taken to fill the cover of the Amsterdam based band Jungle by Night's Livingstone album. 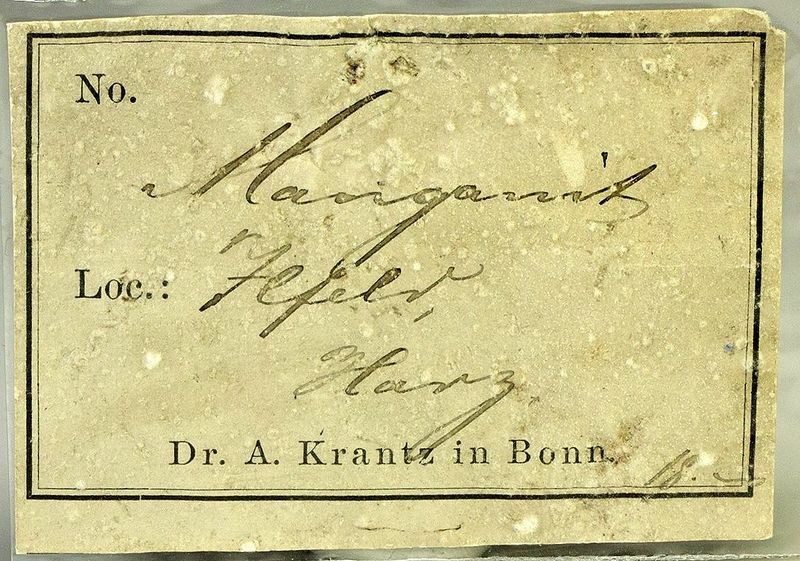 Here is a reproduction of it. Thank you, Tobi. Good search! 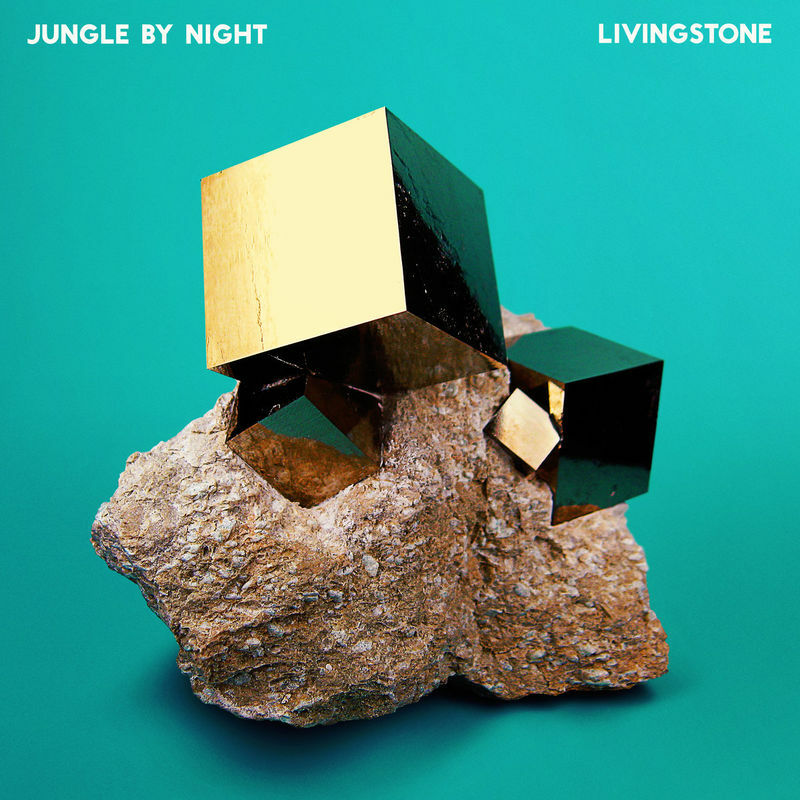 I think the guys in Jungle By Night chose a mineral for the record cover because its title was going to be Livingstone, that in some way could be linked to a living stone (which does not exist in our planet). 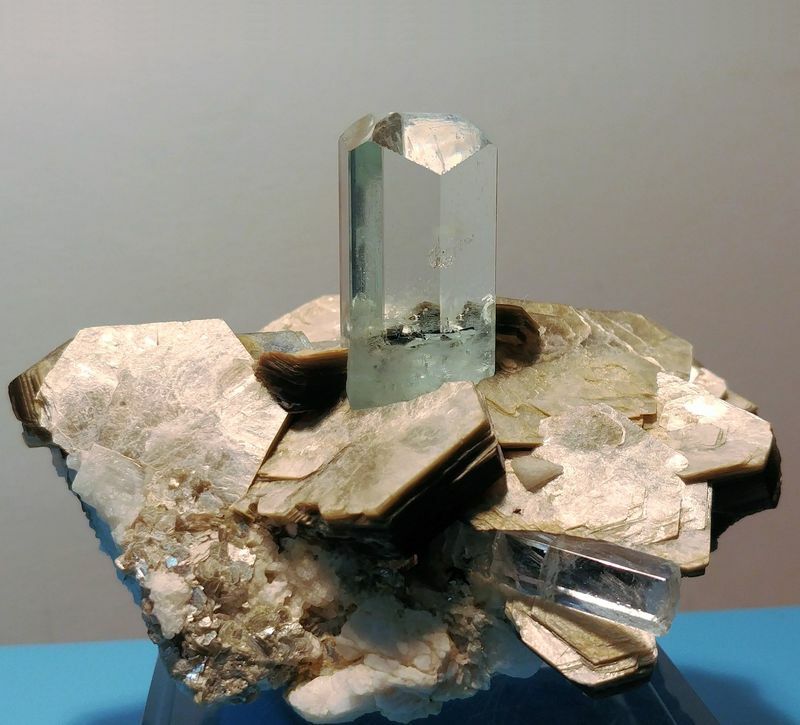 One of them opened the Mindat site and found such an inexpensive pyrite but with an attractive photo impossible to replicate (great things happen only once).